Here’s our wrap up of our time in Vietnam. 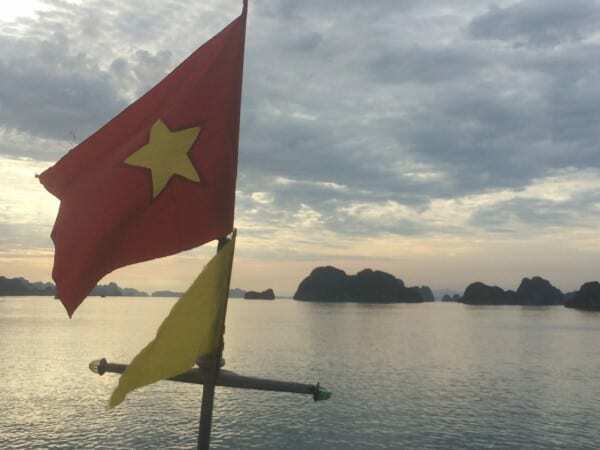 From Halong Bay to Sapa, the Cu chi Tunnels and the DMZ. This is our Vietnam Cost of Travel. When we started this trip, we set a budget of US $50 a day each. This was to cover all our costs while we travel, from our vaccinations, visas and travel insurance (it’s expensive when you’re older than 21! ), our travel, food, incidentals, haircuts, dentist appointments and sewing kits. We needed a visa for Vietnam, so we got one in a short time frame from Shanghai, at the staggering cost of US $105.68, but since then, the costs have been a lot cheaper. In Vietnam, we ate local, we took every form of transport – apart from a taxi. We slept in private rooms, on buses, on trains and on a boat. 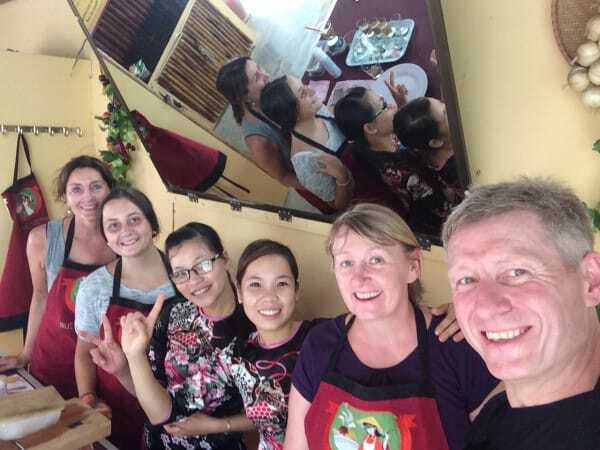 We took a cooking class at the fabulous Mui Ne Cooking School ( hey it was my birthday, I’m worth it ! ), we took a private tour of the DMZ with the fabulous war veteran Mr Hoa from Tam’s Cafe. We saw several Unesco sites, we rented a motorbike, sailed ( ok, cruised) on Halong Bay and drank the bar dry in Ho Chi Minh City. Nige also had his haircut for 50k VND ( US$2.50) in Ho Chi Minh City and we bought a second “almost silk” sleeping bag liner (US $5) and two rain covers for our backpacks at US $5 each. When we travelled there was very little online booking available for buses, trains and ferries in Vietnam and South East Asia – the folks at Easybook have now remedied that – check timetables and book tickets online now – its WAY easier! Our most expensive night was US $ 16.84 at the Hoang Thu homestay in Hoi An, our best was US $15 in Mui Ne at the Mui Ne Hills with two pools, our worst in Nha Trang where two lots of folks tried to get into our room overnight. 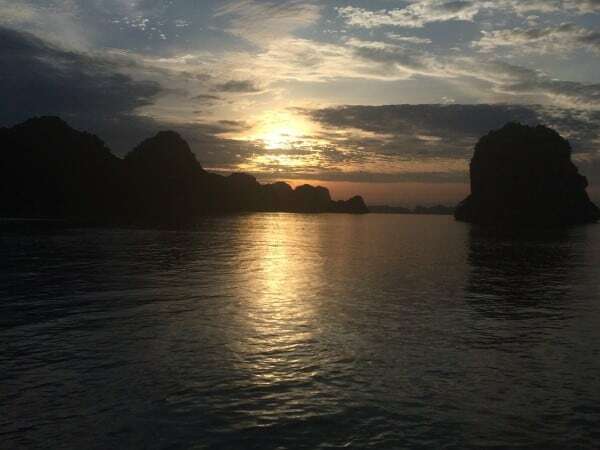 We spent US $159 each on a three day, two night trip to Halong Bay and Catba Island with Kangaroo Cafe of Hanoi and $75 (between us) on a full day trip private tour of the DMZ. Our cooking class was US $35 each. We averaged US $38.04 a day here in Vietnam and brought down our daily average to US $59.48 for the trip so far (it was US $67.71 as we entered the country). I think we’re doing Ok as we head back into China again, we’ll see you on the other side! Excellent post – living vicariously through though journey. Love the metrics – you will get to sub $50, keep the faith!